Give your example of RECENT propaganda by describing it and/or providing a link to a picture of it. 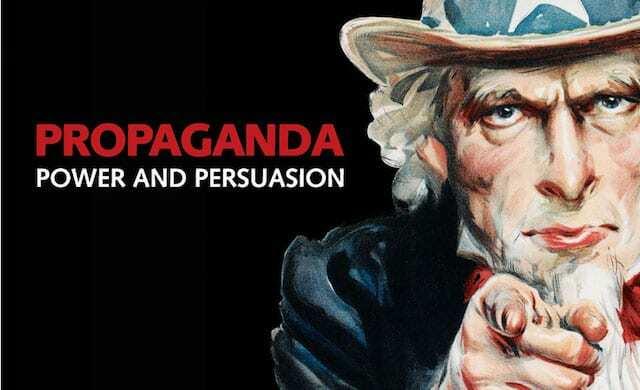 Explain why it constitutes propaganda rather than news or information. Identify the target audience of the propaganda and what its purveyor hopes to achieve by using it. Once you have posted your idea using your first name and last initial, read the ideas posted by your peers. Reply thoughtfully to at least one other peer. What did you learn from his/her idea? Compliment strong points made, ask questions, make connections, and build on the ideas shared. If you disagree, remember to do so thoughtfully and with evidence to back up your opinion. Remember to criticize IDEAS and not people. Kim Jong Un is portrayed as only an evil dictator, but that is all we have been educated about. The first thing an American will say about Kim Jong Un when asked is that he is a tyrannical and should not be trusted due to how violent he is. This is considered propaganda because we are only exposed to one side of the media, the side that the government wants us to see. Most of the memes about Kim Jong Un are targeted towards my generation and younger viewers. So by the time we are ready to vote most will agree to disarm his nuclear weapons. You made some good points, good job. What you said darrien is very true and understandable. I can connect to that statement about the targeted age because I see all over social media Kim Jong Un memes which are targeted for people our age . I think people should start having an open mind instead of believing everything they see on the news or trust everything there government states. How come do you think teens are targeted with this propaganda and not adults? I agree with what Taylor and Darien mentioned about Kim Jong Un. Only one point of view is shown and memes are more likely directed towards teens than adults on social media on the internet because we are on it more and pay more attention to meme propaganda. I agree with Darien and feel she made a really great point. All the news articles I come across or the conversations I hear about North Korea all come from an American’s mouth. We have no way of truly knowing what it is like in N. Korea under Kim Jong Un’s leadership. I agree with all of the above comments. Media propaganda is one of the main sources of propaganda, and Kim Jong Un is a heavy user of that advantage. Everything in North Korea is censored and filtered before being sent out; this deprives the public of the truth. I think Rachel is correct in stating that other political figures, like Trump are beginning to take the same approach. People blamed Russia for fixing the election after Hillary lost the 2016 presidential election. It is propaganda because it was biased and the target audience were people who like Hillary because they wanted her to win. The people who started the rumor were hoping that President Trump would have to step down and Hillary Clinton would win. Connor, there is factual evidence that Russia interfered with the election–it’s not propaganda. 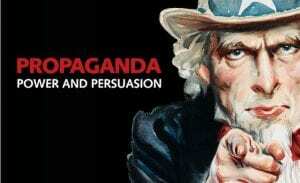 You can always check whether something is propaganda by simply researching it. I never forward memes without looking them up first. I agree with Rachel’s comment about how Trump is influencing people today using other people to spread ideas. People tend to believe other people in positions of authority which is how Trump is able to spread these different ideas.